What a week we’ve had! 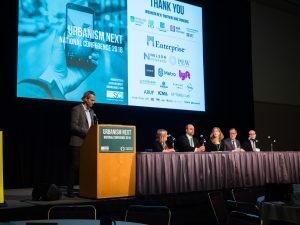 Last week, the inaugural Urbanism Next Conference brought together the private, public, and academic sectors for a thought-provoking and inspiring three days. For our part, we were positively delighted by the turnout, the presentations, and the discussions that were had. 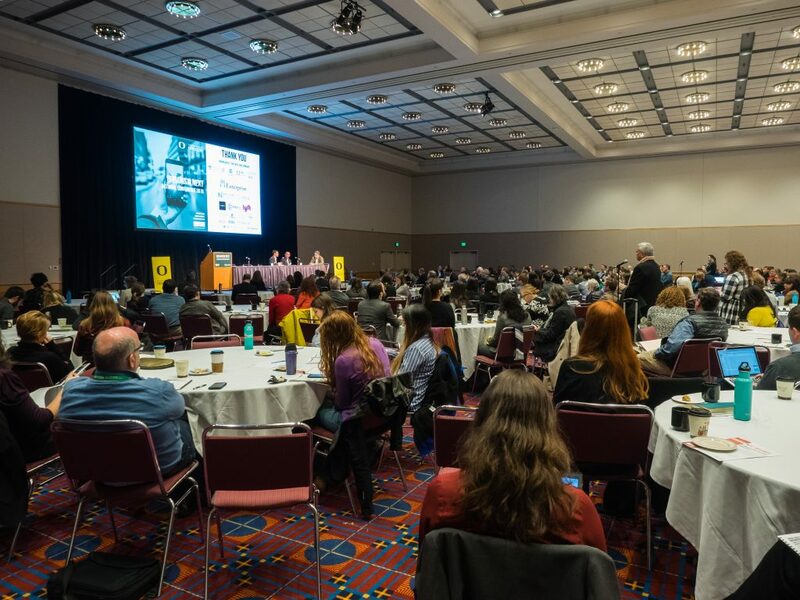 If the conference could be summarized in one sentence, it would be that emerging technologies have brought us to the precipice of major change and there is LOTS of work to be done to ensure that those changes are positive. As Robin Chase, co-founder of Zipcar, Veniam, and Shared Mobility Principles for Livable Cities, said during her talk, “We’re getting a chance to redo our cities.” What if we could go back in time to the 1930s and convene a conference called “Suburbanism Next,” as Tim Smith, Principal for SERA Architects, invited us all to imagine? What we have done differently on the brink of that period of change? Getting a chance to redo our cities is both a monumental opportunity, and a monumental challenge. How do we get it right this time? 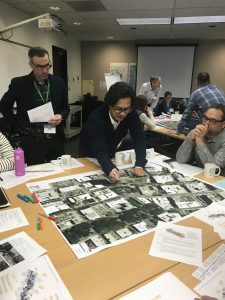 Well, for starters, “we have to bring equity to the forefront of our thinking,” as Susan Shaheen, Director of UC Berkeley’s Transportation Sustainability Research Center, said. She also posed the question, do we really need to rethink everything? YES, she said. We do. And we’ll have to be brave, be bold, and we’ll have to work together. Jeff Tumlin, Principal at Nelson\Nygaard, encouraged us to tell better stories and told us that our job is manage the street for the public good. We have to imagine a future in which technology is in the service of people instead of people in service of technology. This gets to a point made by Mayor Wheeler of Portland who said that technology is value neutral. People, on the other hand, are not. We have to be led by our core values. There were so many interesting discussions, sessions, workshops, and ideas and this is just a snippet of what we heard at the conference. Over the next week we’ll be sharing more information so please stay tuned! We’ll also be posting video footage and links to presentations on our website in the near future, so be on the lookout for that as well. 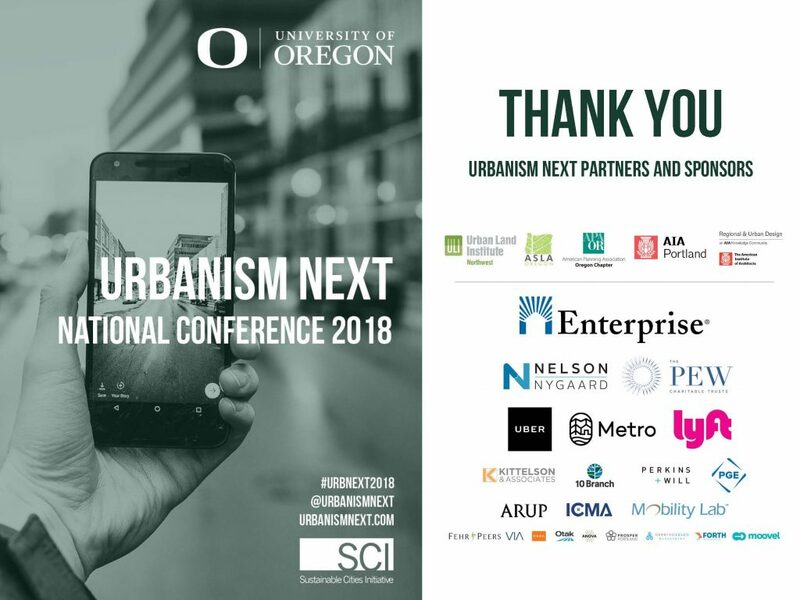 In the meantime, you can learn more about the conference by checking out the conference program if you haven’t already, and by searching for #UrbNext2018 on Twitter. Many, many thanks to everyone who presented, attended, and shared insights, and a HUGE thank you as well to our partners and sponsors!